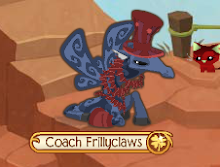 ✮✭XxFreeSpiritxX's Animal Jam Freedom✭✮: New Author on Animal Jam Freedom!! Hi Jammers. For those of you who don't know me, i'm Daisygal54 on Animal Jam. I am 11 years old and I love playing on Animal Jam. I also recently got membership. Apparently, Freespirit has left me and a few others in charge of her blog for a week, so you'll be seeing lots of posts from me. Bye Jammers!